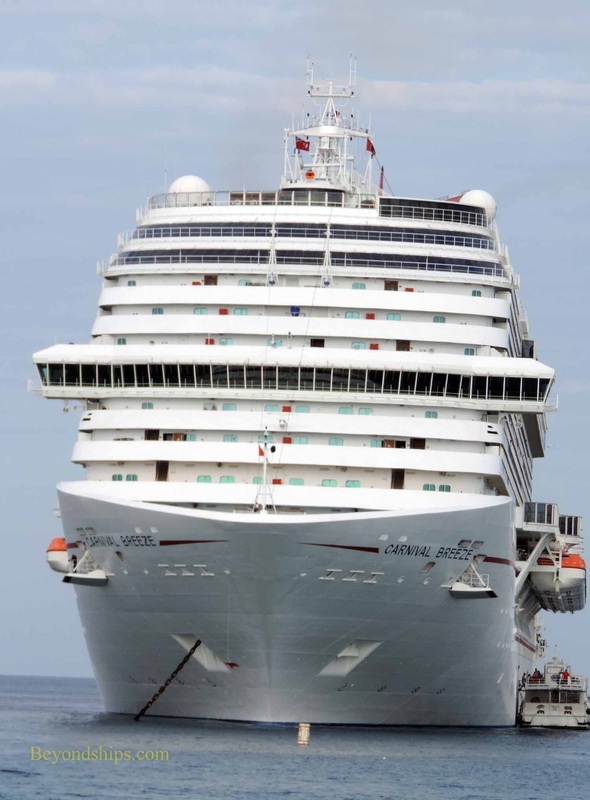 In this photo feature, we see Carnival Breeze as she prepares to set forth on a cruise from Miami and then in one of the ports of call - - Grand Cayman. Inasmuch as Grand Cayman is a tender port, we are able to see the ships without any shoreside obstructions. With Carnival Breeze in Grand Cayman were Carnival Liberty and Carnival Sunshine. We also see Carnival Breeze at sea and returning to Miami at the end of the cruise.